Most times when I fly, I don't need the full panel of radios and GPS that I formerly carried. I only need one radio. But that one varies depending upon my flight situation So I devised a way to connect any of my radios to my NAC-2000 helmet. My NAC-2000 helmet came with a cable that terminated in a two pin plug. 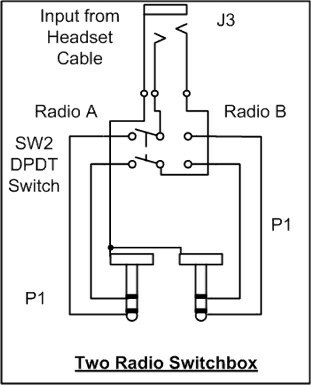 Figures 1 & 2 show schematics of adapters between that cable and the single pin FRS plug and the single pin aviation radio plug. 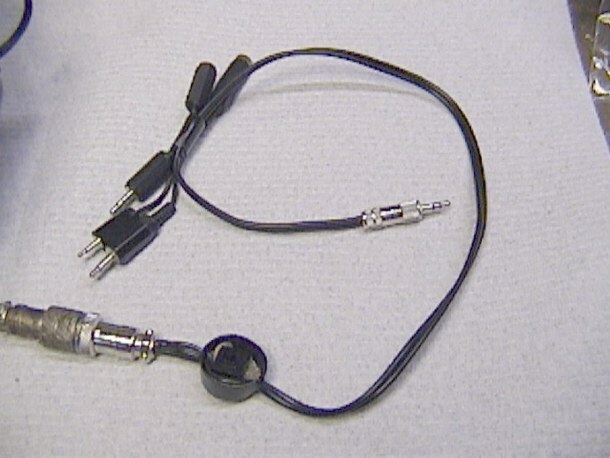 To make things even more simple, I made a cable to connect my helmet to the radio that I use most - an Audiovox FRS radio. See Fig. 3 & Photo 1.
and an Icom IC-T8A multiband ham radio (Fig. 5 and Photo 3). I COULD have made separate cables for each radio, but by making adapters I could attach them all to one cable and just plug into the one needed. That way, I have all of them with me at all times, ready for any radio. 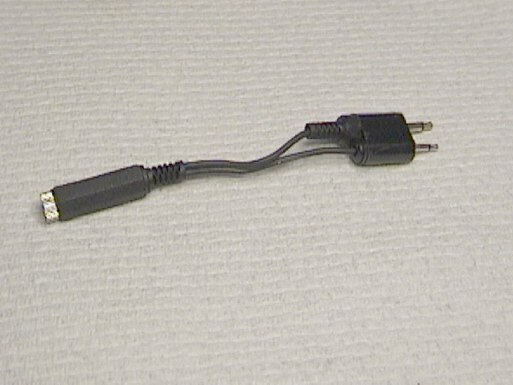 To use one of the adapters I plug the main cable into the needed adapter, and then the adapter into the radio without removing it from the main cable to which it is attached. See photo 4. 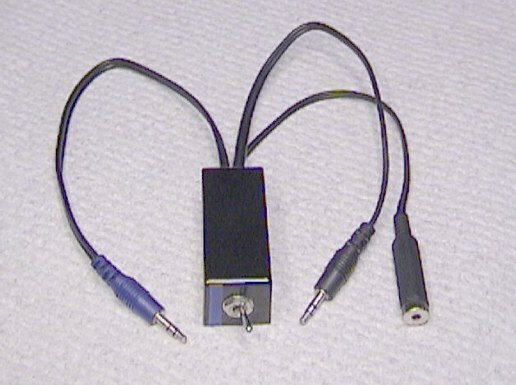 Attach the appropriate adapter to the outputs of the switch box and you can use any radio on either side of the switch. 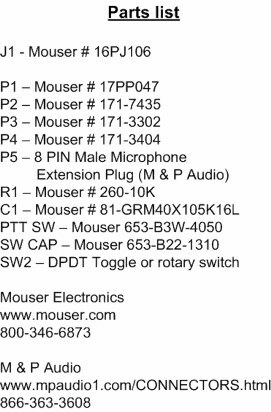 Figure 7 shows a parts list for parts used in all of the adapters. 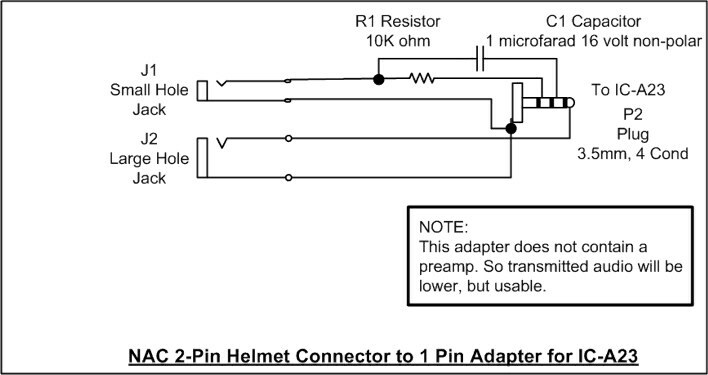 The adapter for the IC-A23 does not have an audio preamp that is needed to match levels and impedances coming from the NAC helmet. However, the audio, while down a bit, is still adequate for communications. 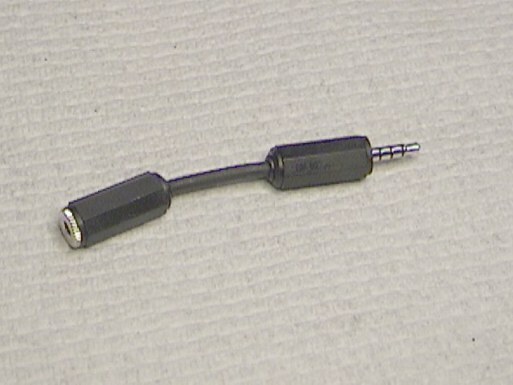 and built them into the connector itself. See the Photo 6. 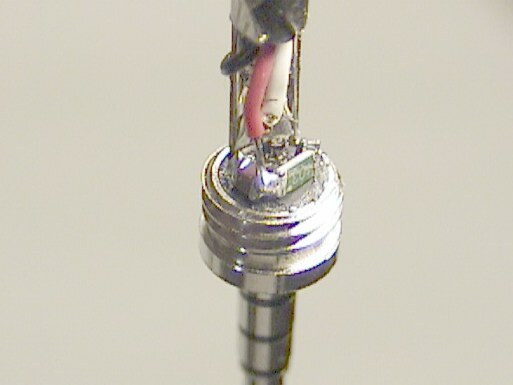 Only attempt to do it this way if you have a very small soldering iron and a very big magnifying glass! Use of the PTT switch that I have shown in Photo 2 requires the modifications called out in my previous article on Alex Varv's Inventions Page, namely, shorting across the button in the left ear cup of the helmet and the removal of the short between pins 2 & 3 of the headset connector. See www.aerocorsair.com/id78.htm. 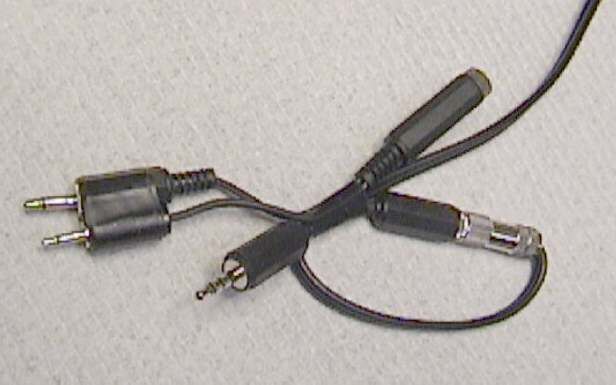 With an arrangement of such adapters, just about any radio can be adapted to the NAC series of helmets.